According to tradition, showing the whites of the eyes signifies anger. The upward gaze of the two juxtaposed ducks, one high and one low, expresses this human emotion. 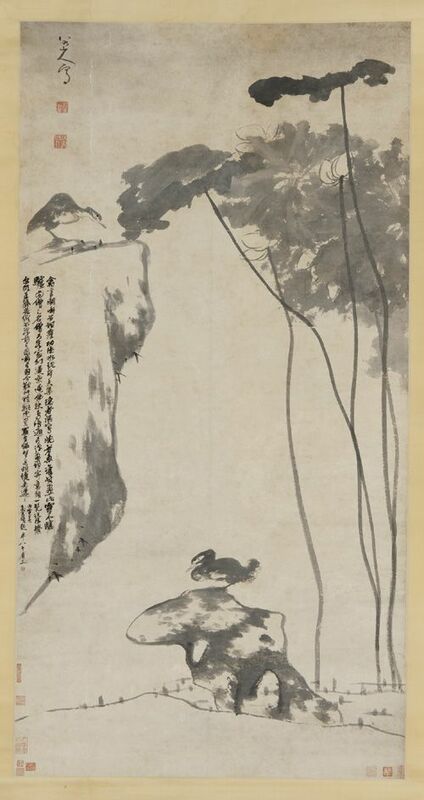 In 1926, the modern artist Wu Changshuo (1844–1927) inscribed a poem at left, suggesting that the destruction of the Ming dynasty was the source of Bada Shanren's anger.